Home » The Badgersett Marketplace! Please check back here - in early December 2015; we intend to have great gift ideas for you- presented so you can find them! Please take a look at our Plants and Nuts to Eat ordering pages as well. We take e-mail orders and accept secure online payment with credit/debit card through PayPal. See Ordering for details on how to place your order! 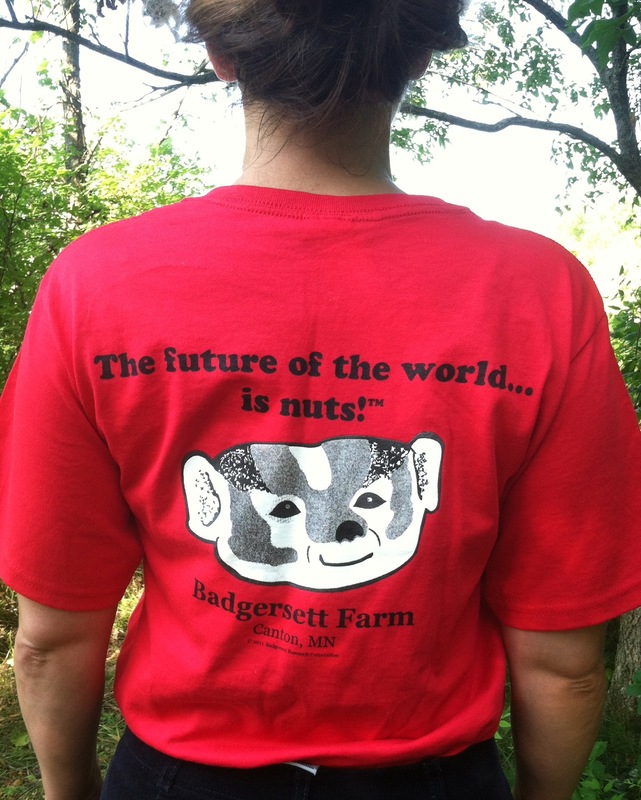 Badgersett T-Shirts: The Future of the World is Nuts! At least one person you know needs this t-shirt. Let the world know that THE FUTURE IS NUTS! At the moment we've got a grab-box of colors accumulated over the years, in three styles and sizes Small to X-Large. Let us know what you want at orders@badgersett.com, and we'll let you know if we've got it. The original big-badger-on-the-front design screen printed on a Hanes Beefy-T. Available in Red or Heather Grey, mostly in larger sizes. A little more pixellated and old-school looking than the picture at left; we'll try to get this picture updated soon. 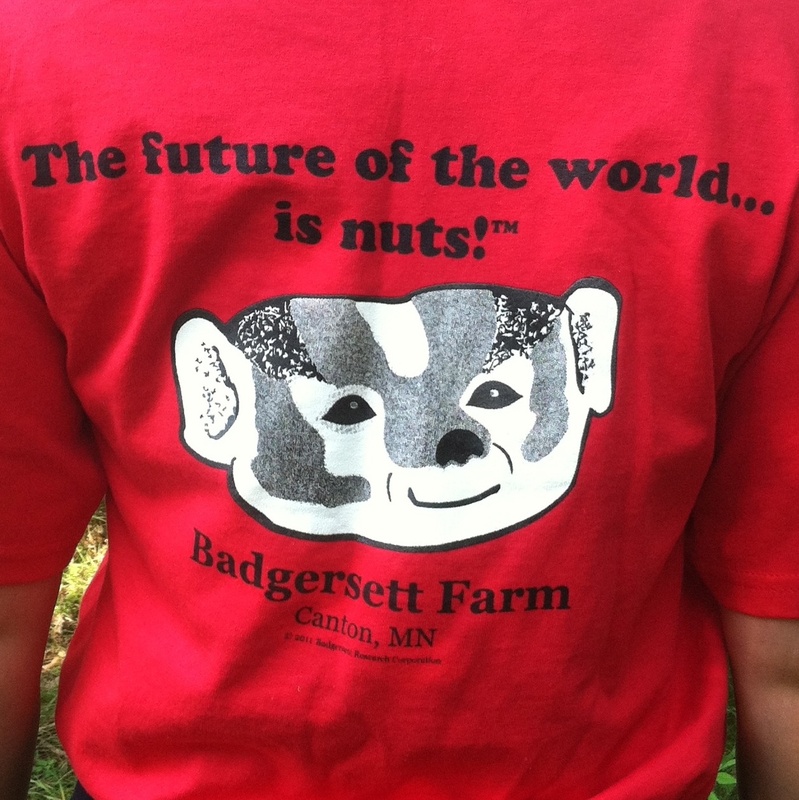 A modest Woody Ag logo on the front, and the Future is Nuts on the back. Screen printed on an Anvil 979 100% cotton t-shirt, in either Red (actually depicted at left!) or Storm Gray. Available in most sizes S-XL. Mary and Carl McDaniel built quite possibly the first "regular house" that produces more energy than it uses. This book is the highly personal and detailed story of designing and building the McDaniels' beautiful home, using nearly all standard construction techniques, and at a standard cost of construction. An exceedingly good reference for anybody intending to build a high-efficiency home, written by a Professor of Ecology. E.O. Wilson says you should read this book; and so do we. An analysis by an exceptional Ecologist/Economist/Evolutionist of the Schackleton expedition to Antarctica, an astonishing story of survival. How did they succeed in that overwhelming environment, and what lessons can we draw from that success in the face of global climate change? Several of Dr. McDaniel's findings here, meticulously evidence based - you will find nowhere else. These discs will ONLY play in your COMPUTER. NOT in a standard DVD player! We now have recordings of our two day short course from both the 2011 and 2014 courses, each compressed to fit on a single DVD-ROM. Over 12 hours of presentations! If you cannot make it to the short course, or you want to really do your homework ahead of time, this is the best way to learn the latest Woody Ag theory and practices in depth. 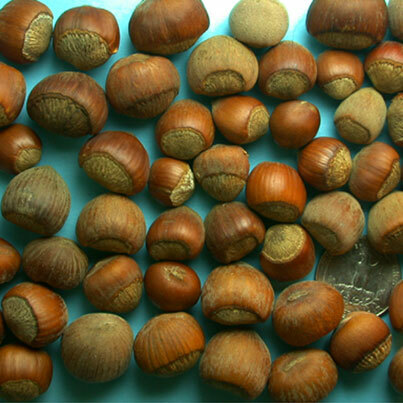 Material is primarily focused on hazelnut production, but also includes some chestnut and hickory-specific material. Highly recommended for current and potential serious producers. Most of the talks were recorded using the presentation software, so they play back like a slideshow with narration (and occasional questions from the audience). In a couple of cases this broke down, and we had to use our backup camera footage; not quite as pretty but completely understandable. The DVD-ROM contains movies which will play using QuickTime (a free downloadable program you probably already have) on your computer. A standard DVD set is not currently available. A few cutting-edge items requiring a confidentiality agreement have been redacted; these are available only through consulting or the short course itself. We offer something very hard to find; our smokewoods are fresh — which means they haven't been losing flavor drying out in a warehouse for two years. All the natural aromatics of the fresh wood are still there. Since the smokewood will still be green when you put it on your grill, it won't need much soaking in water beforehand to prevent it from just burning away. Green wood makes the best smoke; and the most; you won't need to use much. Dry wood burns — Fresh wood smokes! If you request other shipping arrangements or quantities over 30 lbs, we will bill you for those costs. For wholesale pricing and sales, call us toll-free at (888) 557-4211 x5 and leave a clear message stating how and when to call you back. Copy this text order form into an e-mail to orders@badgersett.com (PayPal Verified), fill it out and send it. Once we have begun processing your order, you will get an e-mail invoice from PayPal with instructions on how to pay. Please note: Some businesses block PayPal e-mail. To avoid such problems, you may wish to use a personal e-mail address in your order. Order processing both at Badgersett and at PayPal can take a variable amount of time, but in most cases you should receive an invoice from our PayPal account within 2-7 days. PDF order form. May require Adobe Reader or similar software. We cannot take credit card payments over the phone, but if you prefer to you can call us toll free at (888) 557-4211 x5 and leave a clear message with the information requested on this text order form. Once we have begun processing your order, you will get a call or e-mail invoice from us, and you may complete payment either by mailing a check or using PayPal. Please note: Some businesses block PayPal e-mail. To avoid such problems, you may wish to use a personal e-mail address in your order. Phone Order processing both at Badgersett and at PayPal can take a variable amount of time, but in most cases you should receive an invoice from us within 2-7 days. All images and content © Badgersett Research Corporation, 1996-2015. Images and content may be used for educational purposes as long as credits are maintained.